LOS ANGELES -- The probability California will experience a magnitude 8 or larger earthquake in the next couple of decades has increased, according to the U.S. Geological Survey. CBS San Francisco reported the Third Uniform California Rupture Forecast, or UCERF3, sheds new light on where earthquakes will likely hit in California over the next couple of decades and how big they're expected to be. "The new likelihoods are due to the inclusion of possible multi-fault ruptures, where earthquakes are no longer confined to separate, individual faults, but can occasionally rupture multiple faults simultaneously," said lead author and USGS scientist Ned Field. "This is a significant advancement in terms of representing a broader range of earthquakes throughout California's complex fault system." 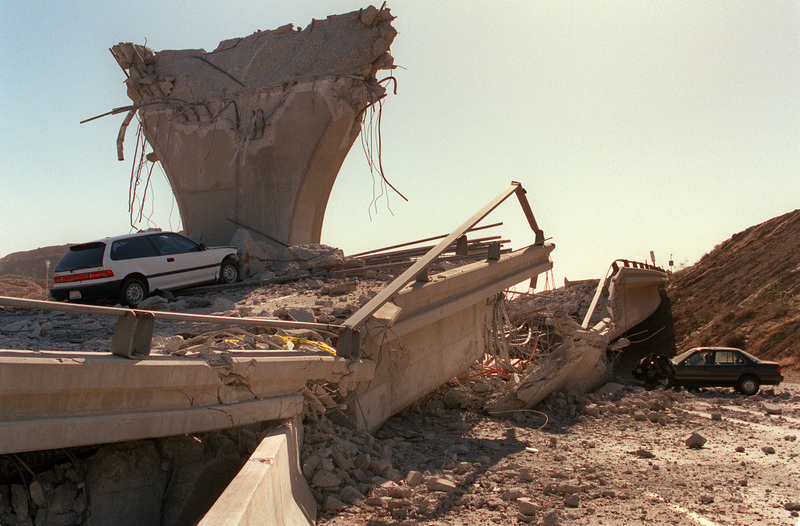 Compared to the 2008 assessment, earthquakes around magnitude 6.7 -- the size of the destructive 1994 Northridge quake -- has gone down by 30 percent with a frequency from an average of one per 4.8 years to about one per 6.3 years. The study also says the likelihood that California will experience a magnitude 8 or larger earthquake in the next 30 years has gone up from about 4.7 percent to about 7 percent. One particularly ready fault is the Southern San Andreas, which geologists have long believed will be most likely to host a large earthquake. There's a lower chance for for the Northern San Andreas near San Francisco partly because of the relatively recent 1906 earthquake on that fault. Probabilities on two other Bay Area faults, the Hayward-Rodgers Creek and the Calaveras, actually rival or exceed those on the Northern San Andreas, mostly because they are both relatively ready. However, several strong earthquakes have rattled Northern California recently, including January's magnitude 5.7 quake off the Humbolt County coast and the magnitude 6.0 temblor in Napa in August 2014, which caused significant damage. The UCERF3 model is the first of its kind to indicate where and when the Earth might slip along the state's many faults. "The UCERF3 model provides our leaders and the public with improved information about what to expect, so that we can better," said Tom Jordan, Director of the Southern California Earthquake Center and a co-author of the study. "We are fortunate that seismic activity in California has been relatively low over the past century," Southern California Earthquake Center director Tom Jordan told CBS Los Angeles. "But we know that tectonic forces are continually tightening the springs of the San Andreas fault system, making big quakes inevitable." The White House has allocated $5 million in federal funding for the Earthquake Early Warning system, which is being developed by Caltech, UC Berkeley and the University of Washington in conjunction with the USGS. The system can provide the public with up to a minute or more of warning before shaking hits. Test users at UC Berkley received 10 seconds of warning before the Napa quake. A few extra seconds can be critical, allowing doctors to pause surgeries, utilities to shut off the flow of natural gas, or train operators to brake before the shaking starts. A smartphone app to communicate the warnings is also in the works. The USGS is also watching increased earthquake activity in Oklahoma, which has experienced more than 3,600 quakes in the last five years -- 300 times more than in previous decades. Most of them have been between magnitude 3 and magnitude 4, but a new study finds the faults in the area are capable of producing a magnitude 6 earthquake.